Nomadic lifestyles have, for as long as I can remember, been an inspiration to me. 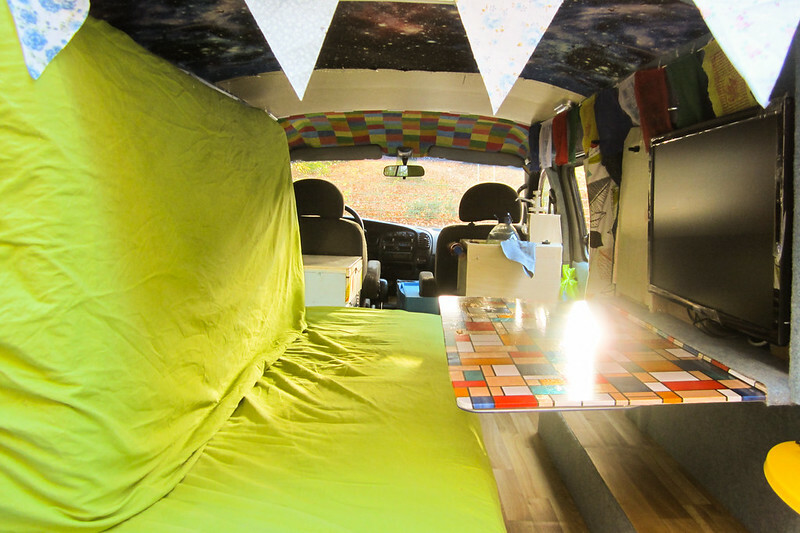 Vandwelling, bike touring, slow travel, those individuals, couples and families who choose to embrace the unpredictable challenges and adventure of life on the road, people for whom life on the road is living the dream. The online diaries and blogs of countless people travelling through life this way can be found online, and I have followed several of them eagerly, full of admiration at the creative problem solving, budgeting and means by which people support such a lifestyle – there are numerous examples, the 20 year old girl from Oregon cycling around the world, the young family travelling south america by VW campervan. 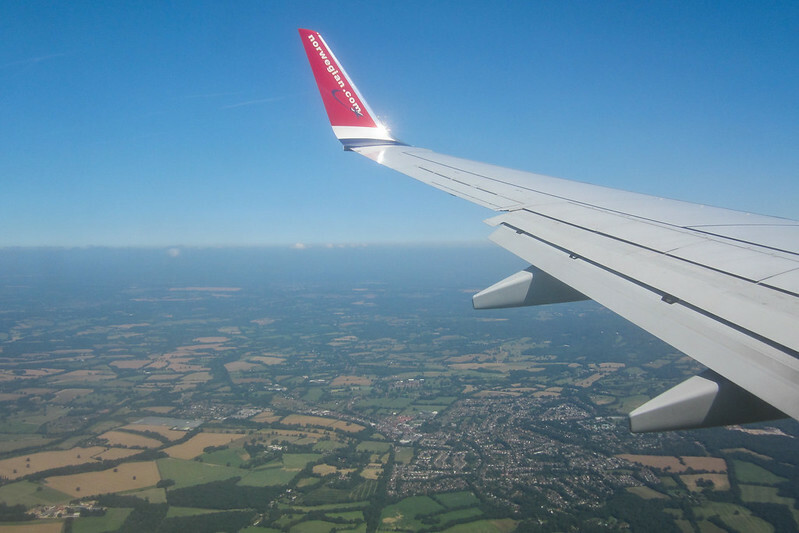 In the summer of 2014, after several months of packing away belongings, trips to various thrift stores, car laden with cardboard boxes, and consolidating, Mike and I flew to the UK, intending to buy a van in which we would travel around Europe. 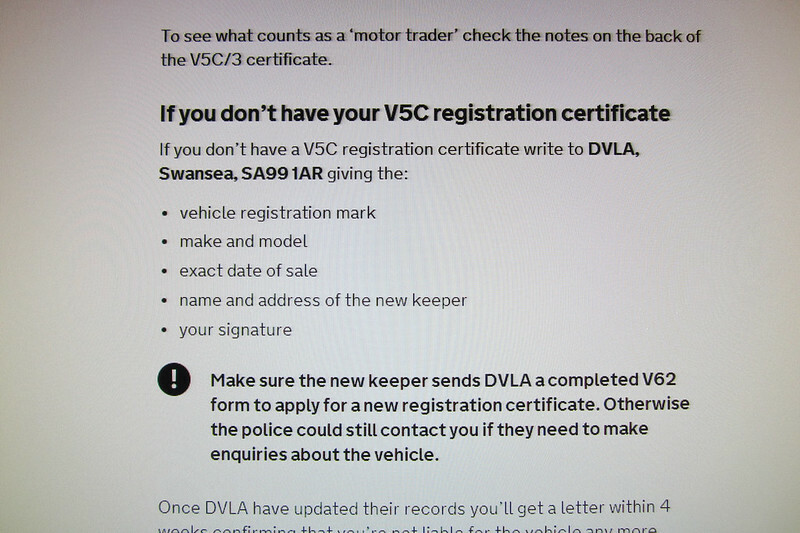 The UK made sense to us, my family are based in Birmingham, and our research seemed to show us that the UK was one of the few countries in Europe from which a non EU citizen, can purchase a vehicle and register it, providing they have a UK address to use in the paperwork. 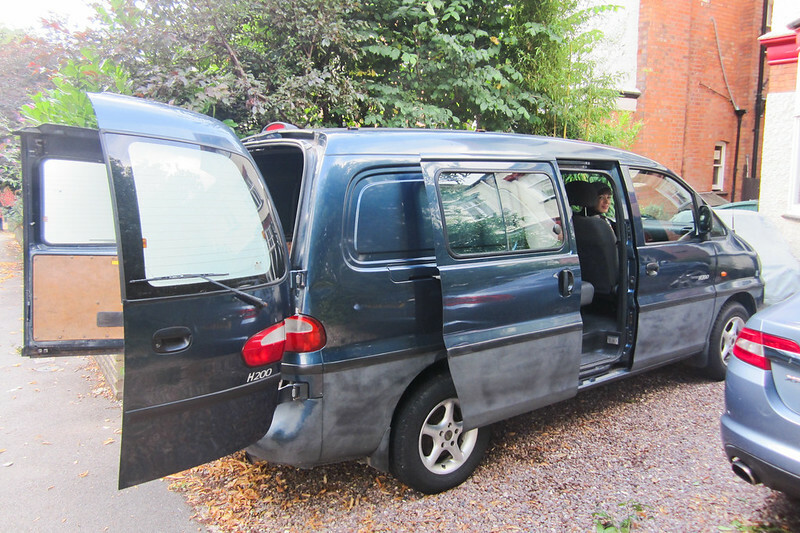 We had little idea as to which kind of van we wanted to buy, but we knew our budget, which hovered at around £2000, and, also, that ideally, we’d like to find a left hand drive, automatic, van, as Mike would be doing the driving. This proved near impossible! The vast majority of vans for sale in the UK are white ford transits, very definitely right hand drive, and manual drive. 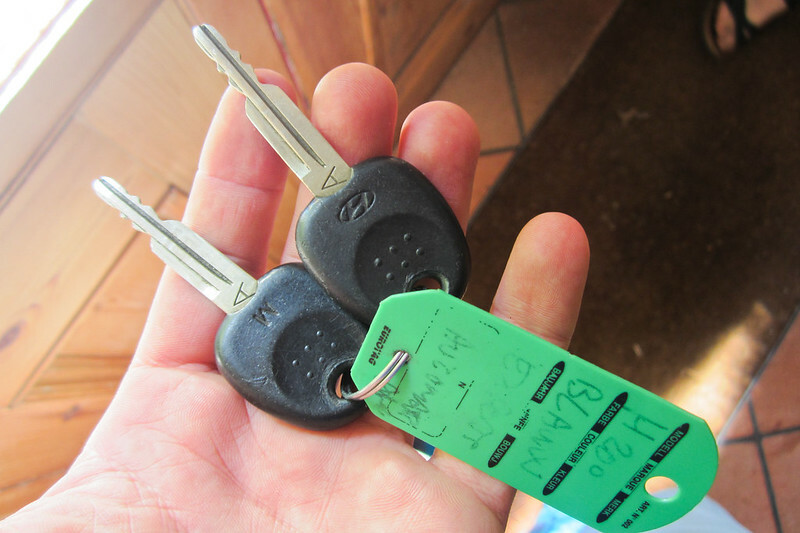 After some frustrating days scouring the internet, however, we stumbled upon a left hand drive importer, on gumtree. 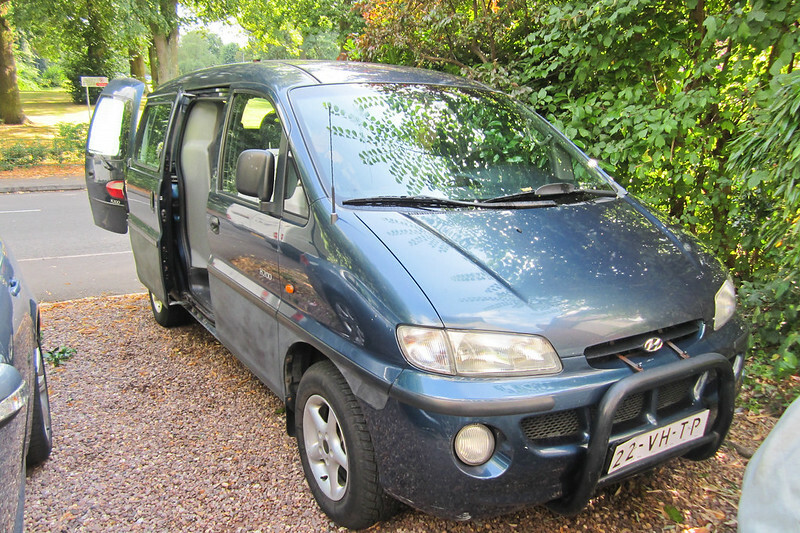 For sale were a number of Hyundai H200’s, also known as a Hyundai H1, or Starex, a people carrier van from 1999 that was never made available in the UK. The van seemed fantastic, it was the right height for us, taller than the average car, but still short enough to avoid the higher rates on most toll roads, and ferries. 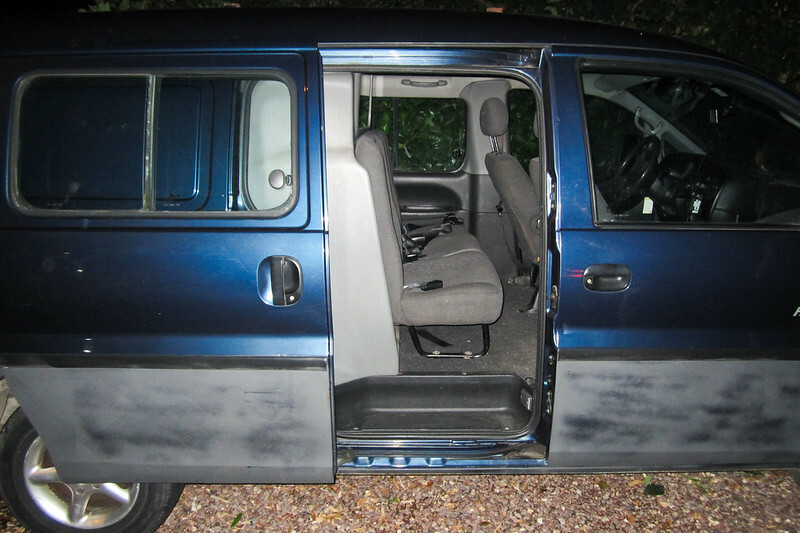 Even better, the van was left hand drive, automatic, with lots of windows… and blue! A small challenge was that our van was currently in the Netherlands, but we were assured by the seller that this would prove no problem whatsoever, that the van could easily be imported and would belong to us within a couple of weeks. A few days passed, and after several phone calls and meetings, the van arrived on our driveway, fresh off the ferry from Holland. 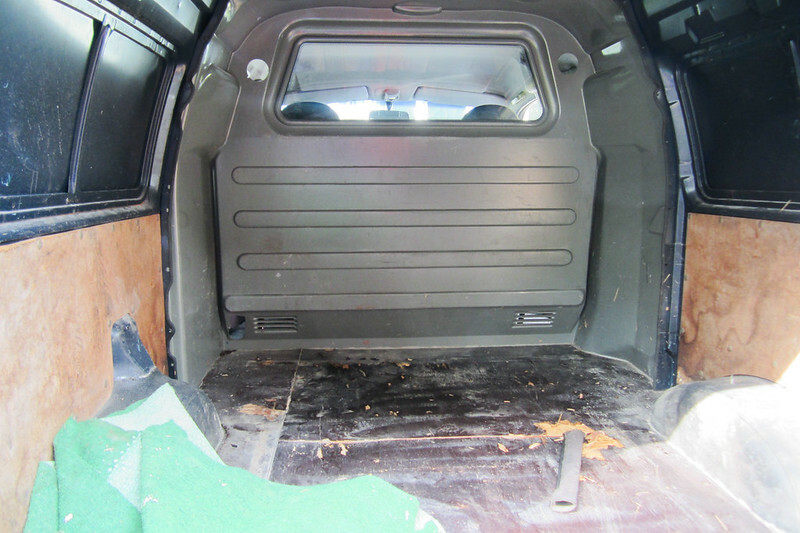 There were a few slight concerns, the exhaust seemed to be leaking, there was a problematic rust issue on the underside of the car, but we fell in love with the van after a test drive, and were willing to overlook these few issues, buying the van for £2000. The van was ours! Then came the importing of the vehicle. This, in fact, turned out to be quite the arduous, lengthy, process, and pushed back our original trip leaving date by several months. In short, the importing process involves a stream of phone calls, various forms that have to be sent over several weeks, tax payments, insurance issues, all made particularly challenging by the fact that Mike was a non UK citizen. 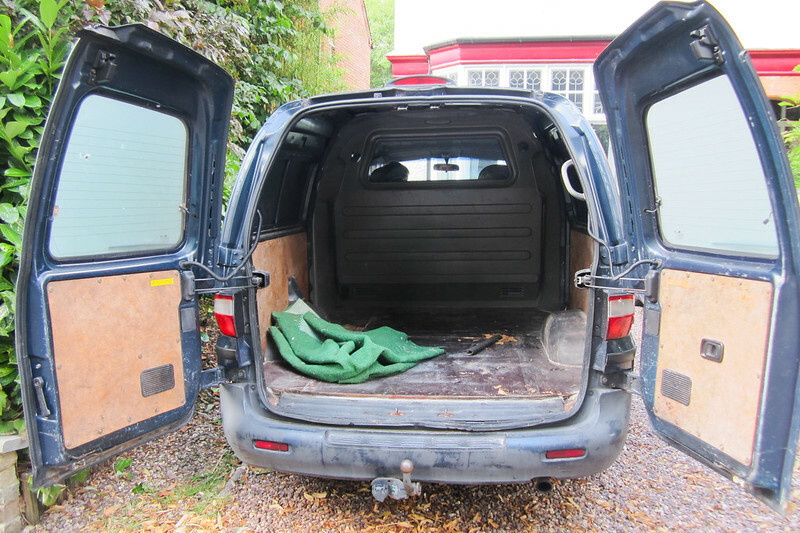 Eventually, though, the van was taxed, registered, and insured, with fresh UK number plates replacing the trade plates, and the work, turning this well-worn work van into a comfortable home for two people, could begin! The joy of importing vehicles – we had similar issues taking our beloved VW Multivan to NZ from Australia, turned into an expensive and time consuming procedure, so much so that we reluctantly left him in NZ when we moved to the UK. I look forward to seeing how your project progresses!